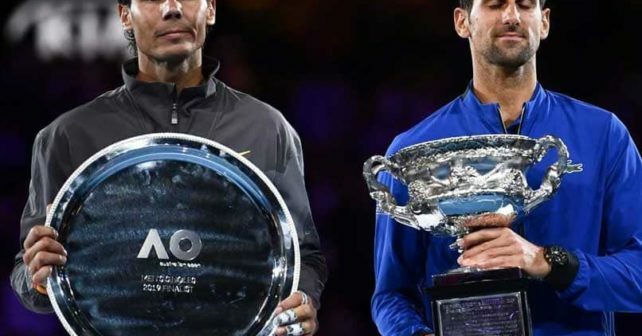 Novak Djokovic won the Australian Open 2019 - Where was Rafa? Novak Djokovic won the Australian Open 2019 after beating Rafael Nadal with the surprising scoreline: 6-3 6-2 6-3. Djokovic made only nine unforced errors in the final and five in the semi-final. But even with that spectacular form, how come Rafa couldn’t make it into more of a match? There should be no huge surprise for anyone that Novak Djokovic won the Australian Open 2019 as I guess most people had Djokovic as their favorite before the final. But I would assume almost no one thought it would be a simple straight sets win for the world number one. After the first two games, it was obvious that Nadal was tense and off with his timing and movement while Novak looked focused and ready to play aggressively. Okay, Nadal has looked nervous in grand slam matches before and lost the first set to then come back and win the next three, but would he be able to do that against Djokovic? The first set was over quickly. Djokovic attacked Rafa’s forehand and put him on the back foot. Rafa, on the other hand, looked a bit slow and clumsy on the court. Surely, the next set would turn the tables a bit? No, the storyline remained throughout the match. Rafa never found even close to his best and Novak played spectacular tennis. It was weird to watch. Rafa is surely one of the best fighters in the game, but he looked completely lost out there. Was he injured? It did not look like that at all. It just looked like he had no answers to Djokovic’s game. 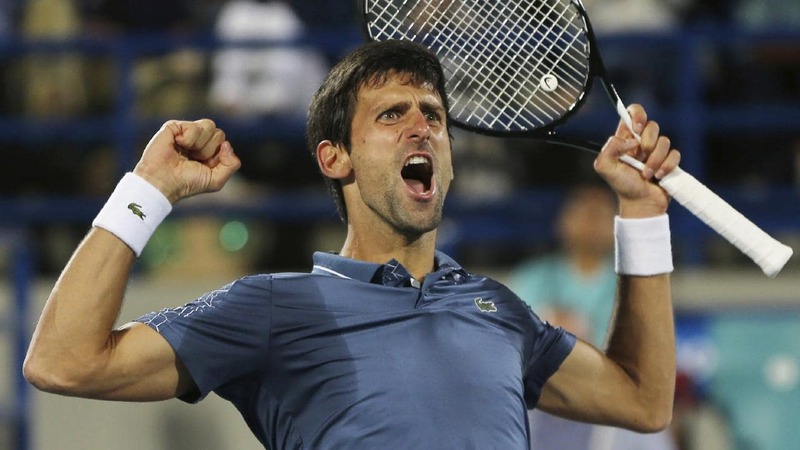 Novak Djokovic won the Australian Open 2019 – What does it mean? Maybe Rafa was slightly injured, maybe he did not have enough tough matches in his body. But the fact remains that he has lost the last 17 sets against Djokovic on hard courts. I thought that the new Rafael Nadal would come out firing, but he was nowhere to be seen. Maybe Djokovic just made it difficult for Rafa to be aggressive since every return landed at his feet, but it was still a remarkably one-sided match and it was hard not to feel sorry for the people who had paid a premium price for seats for this “should-have-been-blockbuster-match”. What does this mean for the rest of 2019? Well, Djokovic remains the heavy, heavy favorite. He is now again in a dominant position in the tennis world and with both Federer and Nadal looking slightly vulnerable right now, it is hard to see who is going to challenge him in this form. Tsitsipas? It feels a bit too soon. Maybe a hard-serving Zverev could be a challenge for Djokovic, but it does not look likely in a slam. Can Djokovic win Roland Garros? Yes, if he plays like this. Rafa is, of course, a different animal on clay, but his confidence against Novak must have taken a huge blow after a grand slam final like this. It will be interesting to see how it plays out, but right now Novak Djokovic is the guy to beat in the tennis world and if he keeps this up he has a chance of challenging Roger Federer’s grand slam record of 20 titles. What did you think of the match and what does this mean for the rest of the tennis year? I am a fun of Nole, but I would say this result is beyond my wildest imagination. My guess is Nole win in 5 sets. The FO is hard to predict now. I think Nadal is still dominant on clay and has the biggest chance, and Nole is a challenger on clay. If Djokovic can beat Nadal there, and he does not fall suddenly like 2016, 4 GS in one natural year is no longer a dream. I was not expecting such a ‘walk’ for Djokovic in the final. I’m not a pro in analysis, but to me Medvedev made Djocovic sweat more in semis. Nadal was just too good against Tsitsipas and I was expecting another epic in the final. Looking at the Novak’s first matches in AO 2019 I was not even sure he will make it into the final, but I was wrong and Novak was right. Yes, that wasn’t Nadal’s the best match, but it doesn’t change fact that Djokovic’s play was fantastic. It seems he back to his original serve, before the injury and he plays more aggressive too. I would like to see some stats about where he hit the ball and with which amount of spin, because we now he changed his racket setup a year ago. I just think beside his backhand he has a very good forehand now. When Will Head release Novak real racquet to The market? I think the moment when Rafa realized that everything that have worked so extremely well up until the final simply wouldn’t cut it against Novak there was no Plan B.. I think that moment was in the second game of the match. I almost felt sorry for him. Yeah, he looked so lost that I definitely felt sorry for him too! Haha, ask HEAD! A true Novak Autograph is LONG overdue. Wilson RF97 autograph is unplayable for most of the recreative players. And most of the higher echelon players prefer to customize their Burns and Blades instead of using very heavy racket with much lower window for customization. In case of Djokovic, releasing 20YO frame with extremely heavy customization that would fill stiff like an iron bar makes no sense at all. What one can do, take one of the older Youtek SpeedPro’s add 10-15g to gain stability and SW and get the feel close to Djokovic actual racket. I can see your point. I think you mean that Djoker’s racquet is heavy, not stiff, because it is quite flexible. But yeah, for most people 340 gram+ frames unstrung are a bit much. But the YouTek Speed Pro is far from what Djokovic is really using. I own one of his real frames and have written a few posts and made a video about the subject.